We're Dealing Up Some Fun! Classes, Events and a New Club! 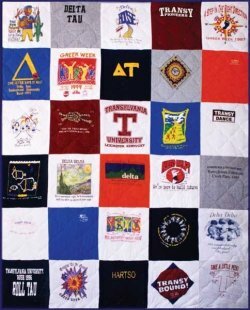 T-Shirt Quilts -- April 14th -- Back by popular demand, Judy will be teaching you how to make a T-shirt quilt. Just in time for those graduates! 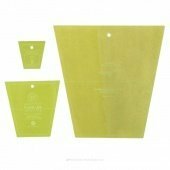 She will get you started and you will be on your way to your personalized quilt. You can sign up by clicking HERE. Or, as always you can sign up by calling or visiting the shop. Free Motion Quilting - The Basics and Beyond -- April 18th -- Wendy Fuller has a couple more seats available in this hands-on class. Take those quilt tops to the next level. Wendy will show you how. Just click HERE to sign up! Missouri Star Tumbler Club -- April 21st -- Betty has another great tumbler project for you! Grab a precut and join Betty as she walks you through a great, fun and fast tumbler quilt. You can sign up HERE! 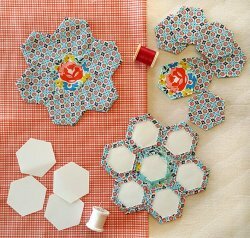 English Paper Piecing -- April 28th -- Join Lori as she teaches you Quilting On the Go with English Paper Piecing. Three classes available. Just click HERE to pick the one for you! This is a great way to take a project with you on those summer outings! Art Quilt Show -- May 5th -- Join us as we feature Art Quilts by Connie Warshall. Winner of numerous awards for her work, Connie is a member of the group Women Running with Scissors and will be in our classroom. You will be amazed at these beautiful works and will be able to talk to Connie about her upcoming class at the shop in June. This event is FREE and is a must! Poker Night -- May 18th -- Fun! Fun! Fun! Come on in for some great laughs, food and a fun night of cards. We are playing for points! Highest points wins a gift basket worth over $100. Cost for an evening of fun is $5, and you will receive a $5 chip good towards a purchase in the store. No experience necessary. We'll teach you how to play! Seats are limited to sign up HERE or reserve your spot by stopping in or calling the shop. 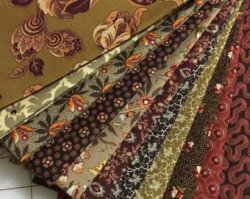 Okay all you Civil War Reproduction Fabric lovers! We are starting a Reproduction Club beginning in September. Each month, you will receive five different one-half yard cuts of reproduction fabric (2-1/2 yards total) at a discounted price of $24.95. This is a great way to add to that stash or start a new one! Members of the club will also be able to purchase additional yardage at 10% off the bolt. Sign up soon! Hours: M, T, W, F: 9:30 a.m. - 5:30 p.m.
Th: 9:30 a.m. - 7:00 p.m.
S: 9:00 a.m. - 3:00 p.m.
Sun: 11:00 a.m. - 2:00 p.m.
Click to visit Fox Cities Quilt Co! Copyright © 2007-2019 - Fox Cities Quilt Co.